Bascom L. Grooms IV, a lifelong resident of Key West and knows this wonderful city and is proud to call paradise his home. 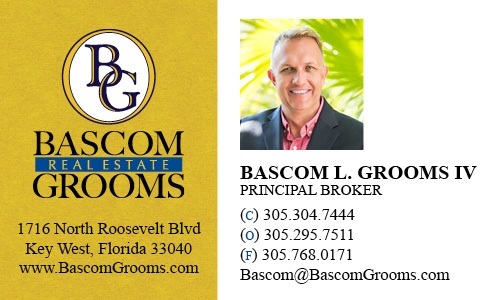 Bascom began his real estate career in 1997 and enjoyed it so much that he earned his Broker’s license and opened Bascom Grooms Real Estate in 1999. His company is centrally located in Key West on Roosevelt Boulevard. Bascom’s office is a top producing independent real estate office in Key West. Because it is a boutique company, Bascom and his team of professionals are able to provide a higher level of personal service to each client. Bascom Grooms IV has consistently been one of the top producing agents in Key West. He has been featured on HGTV’s House Hunters showcasing his buyers finding their home in paradise. 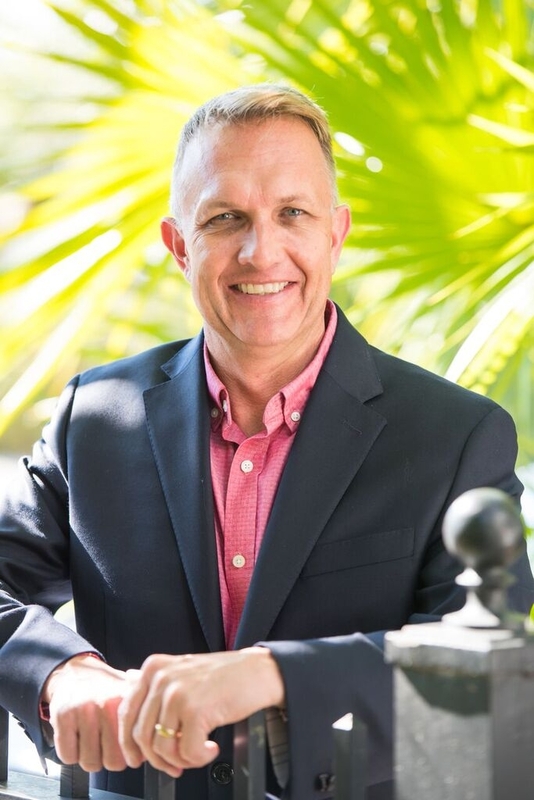 He was voted #1 Key West Realtor by The Weekly in their People’s Choice Award for 2014, 2015, & 2016. Bascom Grooms Real Estate also won “Best Real Estate Office” in 2016. In 2017 Bascom was #4 Keys wide in Closed Sales with nearly $30,000 in sales volume. Bascom is a leader in both the Realtor Community and the Key West Community. He has served as President of the Key West Association of Realtors, The Key West Chamber of Commerce and The Rotary Club of Key West. In addition to leadership roles, Bascom volunteers his time to many other boards and committees and is very active in AYSO and The Basilica School of St. Mary Star of the Sea. Bascom works full time in real estate and enjoys assisting Buyers find the ideal property in the Keys. As for Sellers, Bascom has a reputation for pricing properties well and selling them quickly. He understands the needs of his clients and can assist you in finding your first home, vacation residence, or the perfect investment in the Florida Keys. We had an excellent experience selling our property with Bascom Grooms - and would highly recommend anyone buying or selling to this firm. We used Bascom Grooms Real Estate Team to sell our home in Key West, FL this summer and they were outstanding- what a wonderful group of individuals! We had previously listed our property with another agency for two years with no acceptable results. We listed with Bascom, a showing on the first day on MLS, & a contract six days later! Local in Key West and Lower Florida Keys also out of town sellers and buyers.